Matthew is the Managing Director of Warner/Chappell Music Australia Pty Ltd. He is also a Director of Chappell & Co (Australia) Pty Ltd, Wallaby Music Pty Ltd, Warner/Chappell Pty Ltd, the Australasian Mechanical Copyright Owners Society Limited and Non-executive Publisher Director of APRA. Clive Hodson is a Director of full service Music Publishing/Licensing/Digital Content companies Perfect Pitch Publishing & Perfect Pitch Digital which represent both local and international writers and publishing catalogues licensing into Film, TV, Online, Advertising & Digital Media. Prior to Perfect Pitch he held senior management positions with Shock Music Publishing (4 years), Head of ABC Music (5 years) and PolyGram/Universal Music Group (25 yrs). Clive has served on the board of PPCA (Phonographic Performance Company of Australia Limited), AIR (Association of Independent Record Labels), and is currently a non-executive director on the board of AMCOS (The Australasian Mechanical Copyright Owners Society). Clive was a senior lecturer (6 years) in Music Publishing and International Business Marketing (Music) at the Australian Institute of Music in Sydney (Bachelor of Entertainment Management Department), conducts publishing master classes at WAPA, TAFE, APRA and has been a featured speaker/panellist at WAMcon for 6 years. Clive’s career started as a writer/performer in Perth WA and moved through to the business side of the industry in 1978. He is an active writer/performer and through Perfect Pitch continues to focus on signing, development and sourcing revenue opportunities for writers and performers. He is also a registered Justice of the Peace in NSW. Philip is Chairman of Origin Music Group and Chairman of the Sago Group. He graduated with a Bachelor of Business degree from the University of Technology in 1980. Philip is a fellow of the Institute of Chartered Accountants in Australia, a Member of the Financial Services Institute of Australasia and Member of the Australian Institute of Management. He has previously served as a Director and Honorary Treasurer of the Craft Council of New South Wales. He was in practice as a Chartered Accountant, Auditor and Tax Agent from 1980 – 1998 and is also a Director of the Australasian Mechanical Copyright Owners Society Ltd (AMCOS). Peter Hebbes AM has over 40 years’ experience in all aspects of the music industry having headed up Festival Music Publishing before moving to MCA/Universal Music Publishing and in 2000 he set up his own company the Hebbes Music Group Pty. Ltd., which in 2003 was voted as the “Independent Music Publisher of the Year”. The company is now one of Australasia’s most active independent music publishing companies representing a cross section of Australian and international writers/performers. Peter also acts as music consultant to the television, film and theatrical industry acting on behalf of producers, directors and production companies in the field of licensing and music rights. In addition, Peter is on the Board of the CMAA, the mechanical society AMCOS, the music publishers association AMPAL, is a past deputy chair of the performance society APRA, and was a member of the government Music Industry Advisory Council (MIAC), the Australian Music Centre (AMC) and AMPCOM. Peter was co-founder of the Golden Stave Foundation, a past director of Nordoff-Robbins Music Therapy Association and is a past chairman and a current director of “Variety - the children’s charity”. In 2006 Peter was appointed as a member in the General Division of the Order of Australia (AM) in recognition of his contribution to the Australian music industry and his extensive charity work. An experienced music lawyer and formerly at Simpsons Solicitors, Marianna has also held senior legal and business affairs roles at major record labels and music publishers including BMG Australia and BMG Music Publishing, BMG Entertainment in New York, and EMI Music Australia. She is currently Head of ABC Music Publishing and a Director of the APRA and AMCOS Boards. She has presented at many music industry forums including the Australasian Music Business Conference, Fuse Festival, Big Sound, WAMi and at the Australian Institute of Music. Marianna has degrees in arts and law from the University of NSW. Steve is the manager of Hillsong Music Publishing, SHOUT! Music Publishing and City & Vine Production Music in Australia and has extensive experience as a performer, producer and songwriter. Steve is honoured to work with world renowned song writers and producers achieving Grammy awards, multiple ASCAP and BMI awards in the USA and many other achievements across the globe. Steve has over 20 years experience in music publishing and copyright administration. Steve also serves as a Non-Executive Director for AMCOS and on the Board of Advisors to Christian Copyright Licensing International, both in the USA and for the European region. Ian has been the Managing Director of Mushroom Music Pty Limited since 1986. He is also the Chairman of the Australasian Mechanical Copyright Owners Society Limited and a Non-executive Publisher Director and current Deputy Chairman of the APRA Board. Ian has a Bachelor of Commerce (Applied Psychology) from the University of New South Wales and was employed by the Australasian Performing Right Association Limited from 1976 to 1986 in several management positions. Damian is the Managing Director of Sony/ATV Music Publishing and a Director and former Chairperson of the Australasian Mechanical Copyright Owners Society Limited and a Non-executive Publisher Director on the APRA Board. After joining CBS Records in 1981, he held various positions including Local Artist Marketing Manager and National Promotions Manager. In 1990 he was appointed General Manager East West Records before returning to Sony in 1991 to take up his current position. Recently retired Managing Director of Universal Music Publishing Pty Limited, Universal/MCA Music Publishing Pty Limited, Universal/MGB Music Publishing Pty Ltd, Rondor Music (Australia) Pty Limited, Essex Music of Australia Pty Limited and Cromwell Music of Australia Pty Limited. He is also a Director of the Australasian Mechanical Copyright Owners Society Limited and the Australasian Performing Right Association. 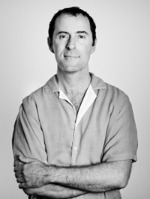 In September 2010 Simon Moor opened an office for Kobalt Music Group and is now the Managing Director for Kobalt Music Publishing Australia. Simon is responsible for working with Kobalt’s international roster of writers and artists including LCD Sound System, Yeasayer, Pearl Jam, Nine Inch Nails, Gwen Stefani, Bon Iver as well as the growing local roster which includes Gotye (Ex-ANZ), Tim Minchin, Art vs Science, Icehouse/Iva Davies, Future Classic and Emma-Louise. Prior to Kobalt Simon worked as Head Of A&R at EMI/Virgin and then Sony/ATV Music Publishing. Simon has signed and/or worked with artists such as The Sleepy Jackson (A&R of The Lovers album, making the initial introduction of Luke Steele to Nicholas Littlemore, who later became Empire Of The Sun), Silverchair, Jet, Paul Kelly, Alex Lloyd, Tame Impala, Simian Mobile Disco, Angus And Julia Stone, Paul Kelly, Lisa Mitchell, Sarah Blasko, The Hilltop Hoods, Arcade Fire, and Operator Please among others. Philip has been Managing Director of Hal Leonard Australia Pty Ltd since 1995. Prior to establishing Hal Leonard’s operations in Australia, he spent 19 years in the music products industry as a senior executive with Rose Music and Yamaha Music Australia. Philip is also a director of All Music Publishing and Distribution Pty Ltd.
Jaime Gough is General Manager at Native Tongue Music Publishing (Australia), an independent music publisher with offices in Melbourne, Auckland, London and Los Angeles. After completing a Bachelor of Business (Marketing) and Bachelor of Business (Management) at Monash University, Jaime started working in the family business as Copyright and Royalties manager from the company’s inception in 2004, before becoming Creative Manager in 2007 where his role evolved to include A&R, Licensing and International catalogue management. Jaime recently spent almost 4 years based in London expanding Native Tongue’s operations in the UK, Europe and US markets. Prior to joining Native Tongue Jaime worked for music licensing company Mana Music and prior to that at Mayday Management representing The Go-Betweens, Mia Dyson, Renee Geyer and David Bridie. Jaime has served on the board for non-profit youth music organization The Push. Matthew Donlevy is the Managing Director of Frankdon Music Pty Limited. He is also a Director of Minder Music Australia Pty Ltd. Matthew’s previous appointments include Managing Director of peermusic Pty Ltd & Regional Director South East Asia for peermusic, also professional manager of ATV Northern Songs and Castle Music. Jane English has worked extensively in the Australasian music publishing business. Jane is currently Managing Director of Music Sales Pty Ltd. She has also worked for EMI MP Asia (Regional Director), BMG MP Asia Pacific (Vice-President), EMI MP Hong Kong (General Manager), Warner Bros MP Australia (General Manager), Warner Bros MP Asia (General Manager) and Rondor Music Australia (General Manager). She has been on the Executive Committees of the Asian Music Publishers Association and the Hong Kong Music Publishers Association. Outside of music publishing, Jane has worked in the live music sector, primarily as Festival Director of Good Vibrations Festival and managing various venues, she has provided free legal advice to musicians and songwriters at the Arts Law Centre of Australia and assisted in establishing Support Act Limited. She holds an Honours degree in Law, an Arts degree and a graduate diploma in legal practice. Since launching BMG Australia in March as the company's inaugural Managing Director, Heath Johns has signed LDRU, The Living End, the iconic Wolfmother back-catalogue, Wave Racer and Peking Duk (ex-ANZ). Johns led the Australian operation through the acquisition of iconic Australian music company Alberts and holds MBA and Master of Marketing degrees from the University of Newcastle, Johns was previously Director of A&R at UMPG for over 13 years. Matthew has been the Company Secretary of AMPAL since 2012 and the General Manager since 2016. Prior to AMPAL, Matthew practised as a lawyer. Matthew holds Bachelor of Commerce, Bachelor of Laws and Master of Laws degrees.